Mobile apps have been getting increasing attention across the globe for their usefulness and credit of connecting people easily and quickly. Now these apps are highly popular among the people of almost all age groups for meeting their desired purposes easily and effectively. Keeping pace with the diverse needs of heterogeneous groups of people, various types of mobile apps have come to the market. They are designed and developed for running well on various platforms like Apple, Android, Blackberry, Windows, etc. A particular app is designed for meeting a particular purpose. It is defined for executing a certain thing. Therefore, a particular app is widely used by a specific group of people having a common area of interest. A school app is an app designed for connecting students, their parents and administrators of a school. There are various apps developed by different schools for meeting their particular purposes. Using a particular school app, you can get the latest information about this school. It saves students, parents and school administrators from wasting their time, labor and effort of searching online and differentiating unnecessary things from desired their information. Using school apps, they get all necessary things at their fingertips. A vast majority of schools belonging to develop countries like the US, UK, Australia, Germany, and Canada use their own dedicated apps for fulfilling their targeted purposes and keeping their learning community connected well with them. Most of these mobile apps are easy to use. They include powerful features to save users’ time during searching on them. Why School Apps on High Demand? If we consider the statistics coming from different sources, we will definitely find that the mobile apps are high on demand. The demand and uses of school apps have increased significantly in last few years. This is the most significant benefit of school mobile apps. 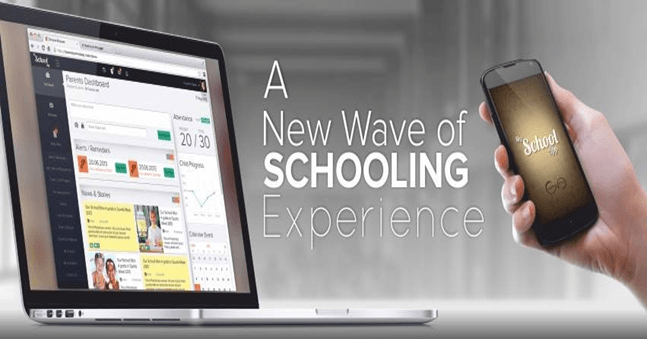 It creates a hassle free communication among the students, parents and school authorities. There are some advanced school mobile apps including pop-up messages to remind parents and students about upcoming events or probable changes in near future. Some of these apps incorporate online payment systems, quick changes and sick note alerts. A vast majority of school mobile apps are developed in native languages for making these easily understandable for almost all guardians. Most of these are installed directly on parents’ phones at free of costs. These always adhere to easy to use format to make these comfortable for all parents. These ensure greater security and faster information access. Parents can easily access school newsletters in order to read anywhere they like. Side by side, they get to know their child’s after-school activity easily. These are the significant benefits of school mobile apps. In this age of information, their importance does not wait for an explanation. Want a remarkable school app? Contact us for free consultation to develop a stunning app for your school. Take a look on our school app portfolio.